The fact that Alexis Sanchez has been cutting a largely frustrated figure at Manchester United isn’t exactly breaking news. His performances for the Red Devils have barely improved, and he hasn’t been the player the Mancunians thought they had signed. The Chilean international was left on the bench for his side’s 3-1 derby defeat at the hands of Manchester City – a decision that supposedly didn’t go down well with the forward. 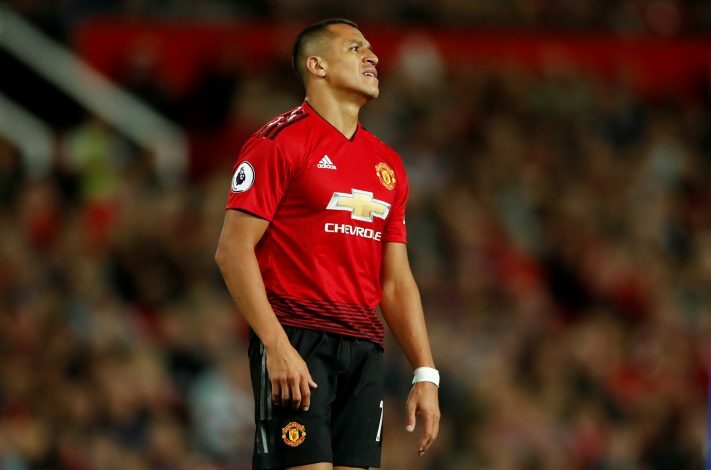 According to The Sun, Sanchez was not only furious with his exclusion from the starting lineup, but also “slammed his boots down in the changing room” whilst criticising his side’s defending as well as the defensive tactics employed by Jose Mourinho. The report adds that the 29-year-old has carried that ugly mood to his international camp, as his national side prepares for games against Costa Rica and Honduras. Sanchez is said to be “acting weird” at Chile’s training sessions as well, with La Trecara reporting that the player was “silent for over an hour,” and sat alone on one of the training pitches whilst his teammates played football tennis nearby. The former Arsenal star was eventually convinced by his countrymen to join them, but his behaviour still remained quite unusual, according to some of the Chilean squad members. Earlier this week, The Times had claimed that Alexis feels “lonely and ignored” at Manchester United, and such treatment could be the reason behind him cutting an isolated figure lately.